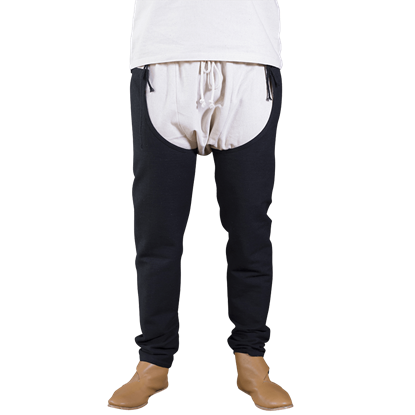 In the medieval winter, the best way to keep warm is to wear layers. Especially if you live in the woods and rely on trees to house you. 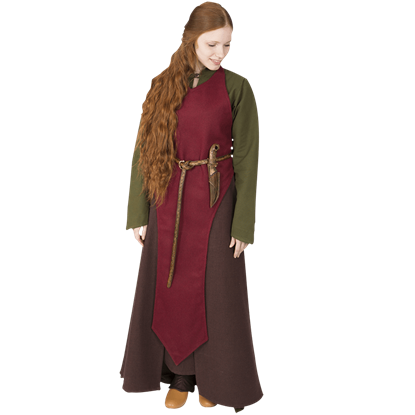 The Elvish Fantasy Apron provides an outer layer that is sure to keep you cozy and stylish. As you lead your army onto the battlefield, a thousand orcs rushing toward you, the last thing you want to worry about is tripping over your skirt. 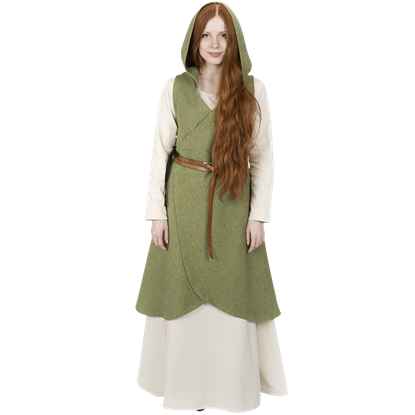 That is why you wore the always reliable and stylish Elvish Fantasy Battle Skirt. In Norse mythology, Freya was the goddess of beauty and war. 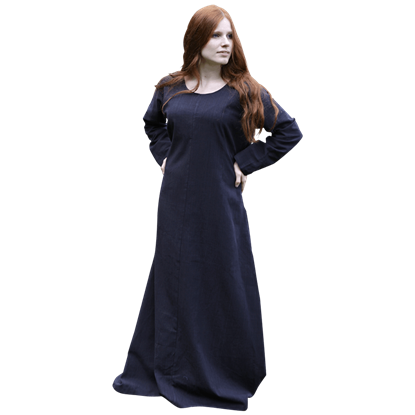 The Freya Viking Underdress brings these two vastly different concepts together in one classy garment, perfect for any medieval ensemble, be it noblewoman or Viking warrior. Hibernus was a Latin word used to describe winter as well as to denote someone from Ireland. 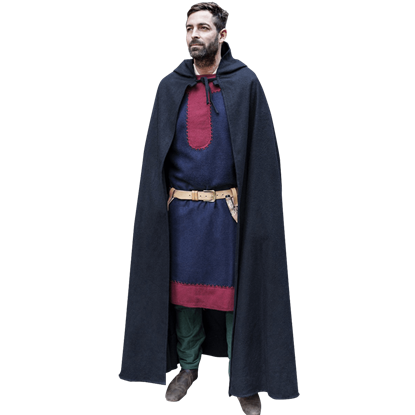 The Hibernus Medieval Hooded Cloak is perfect for winter wear, and it resembles those garments worn by the ancient Celtic people. The first wife of Ragnar Lodbrok, Lagertha, was a fearsome warrior who later became the ruler of Norway. A powerful warrior like Lagertha would only be slowed down by a dress. 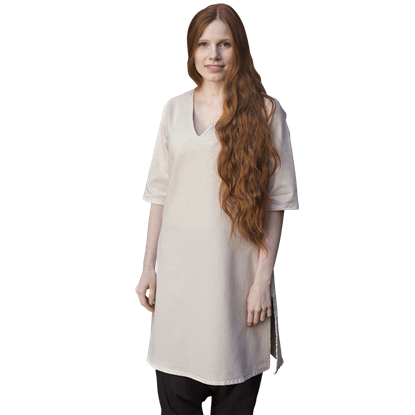 For this reason, the Lagertha Viking Undertunic exists. 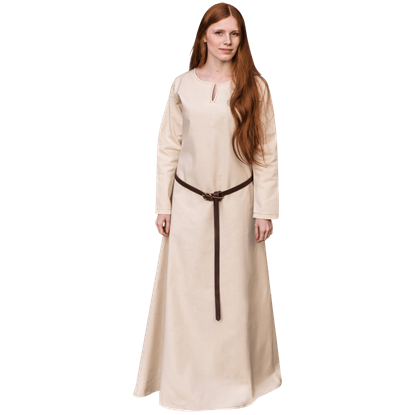 During the late Middle Ages, clothing was beginning to become more similar to the outfits worn today. 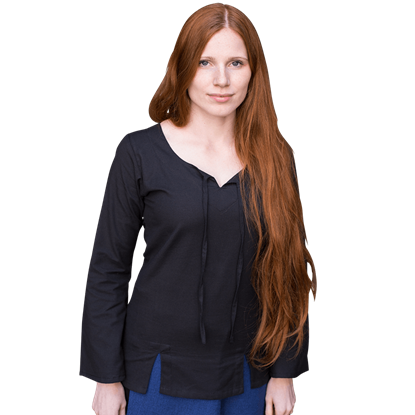 The Late Medieval Blouse perfectly accentuates this gradual transition in style, borrowing elements from either era to make one shirt. 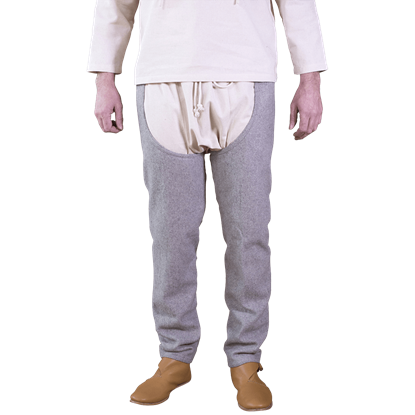 Before the puffy coats of the modern era or the woolen jackets of the 19th Century, there were other, more rudimentary ways to stay warm. 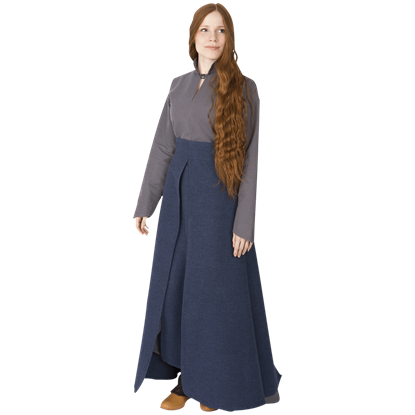 One of these early coats has been beautifully recreated in the Late Medieval Hooded Wrap Dress. Girl, this is the 14th Century, and you are a strong, independent woman warrior who dont need no misogynistic chivalric codes. 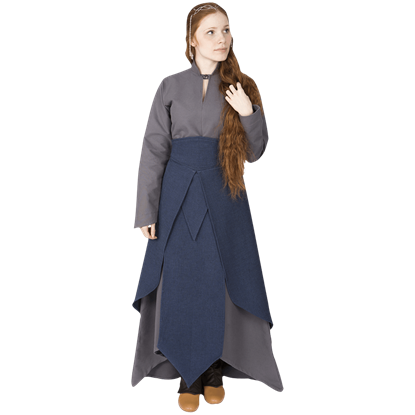 Take up the sword and make your might and fierceness in combat known with the Medieval Battle Skirt.